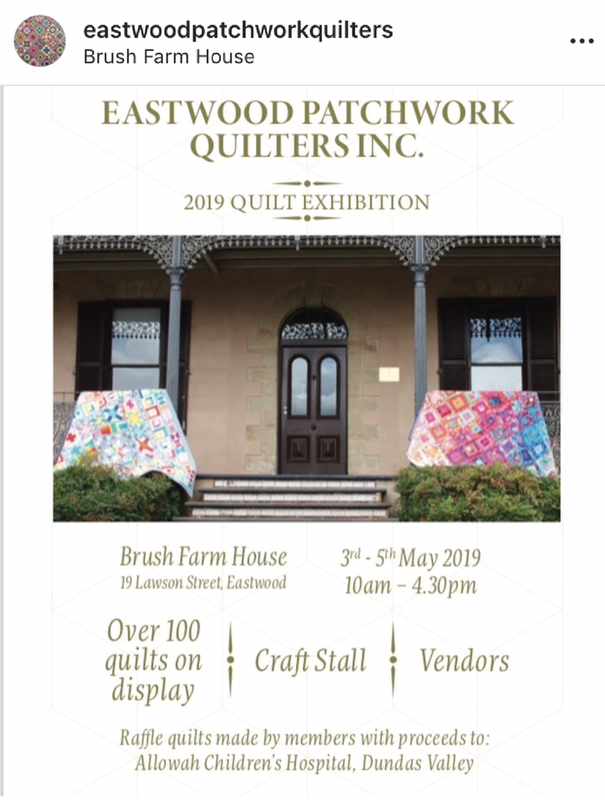 Brush Farm House | Eastwood Patchwork Quilters Inc.
We are proud to be supporting Orange Sky Laundry with our two raffle quilts made by members of Eastwood Patchwork Quilters. 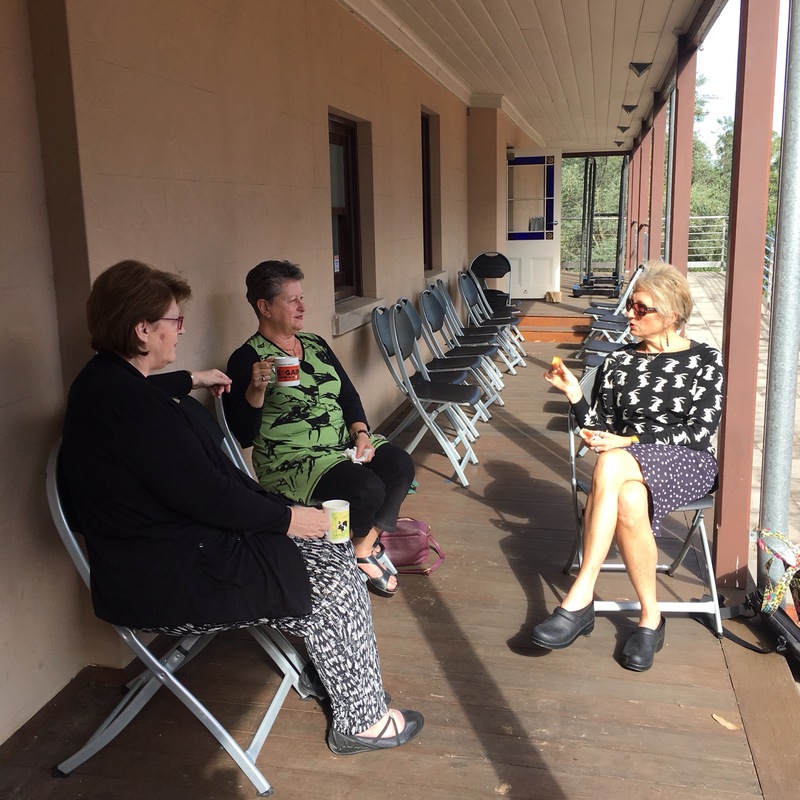 Our exhibition will be held at Brush Farm House, 19 Lawson Street, Eastwood from May 5-7, open daily from 10-4.30. 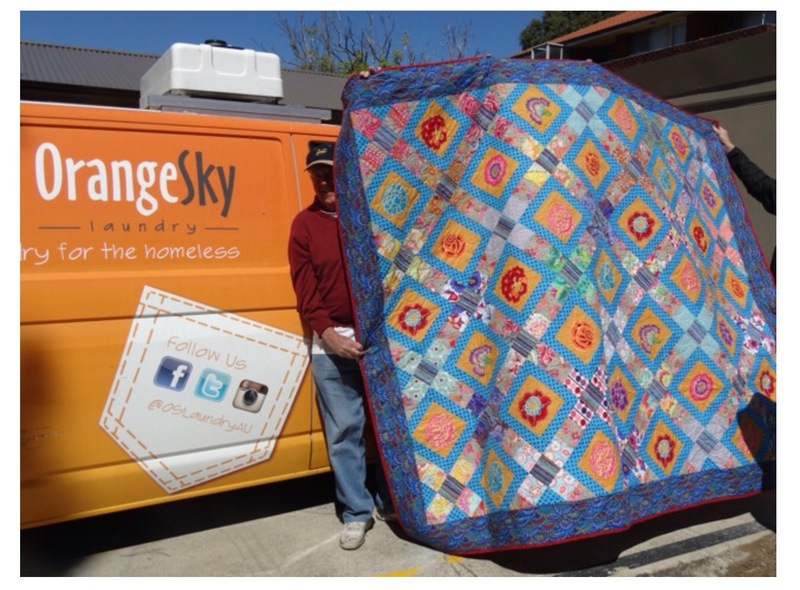 Here is one of the quilts with the van. 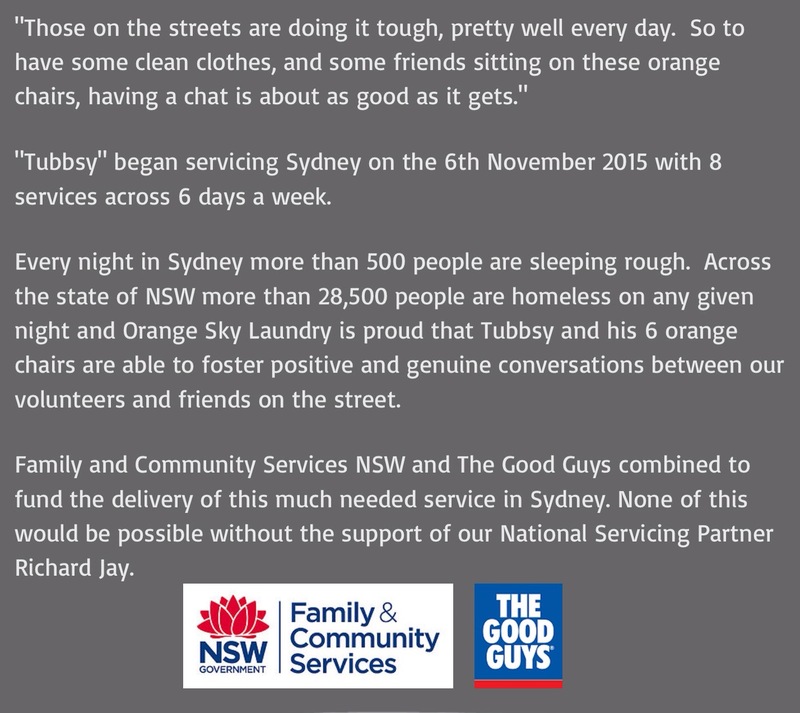 We are hopeful that, through our raffle ticket sales, we will be able to offer significant help to Orange Sky Laundry. 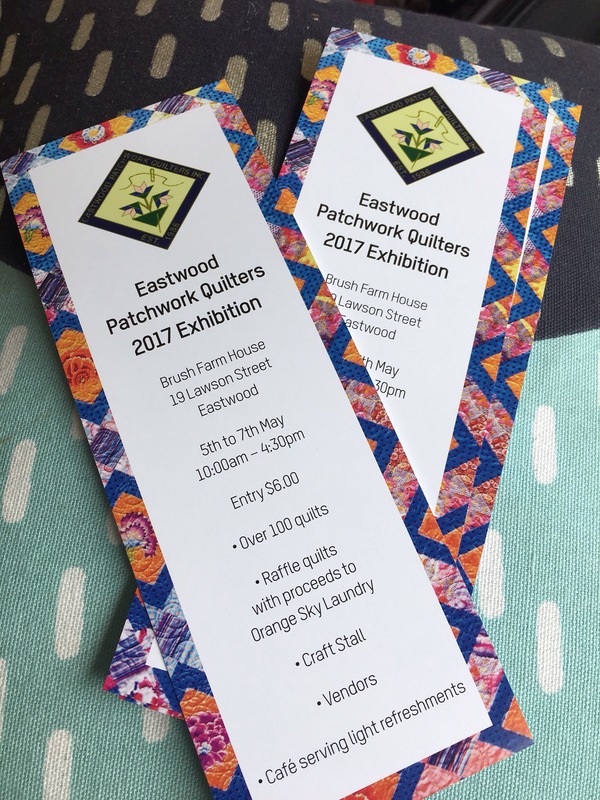 So come along to our exhibition for a day full of quilts, handmade craft, tasty home baked goodies and buy a couple of tickets to help the team at Orange Sky Laundry continue their great work. Today was the first of three days activity towards our 2017 exhibition, it starts this Friday May 5 and runs through to Sunday May 7th. 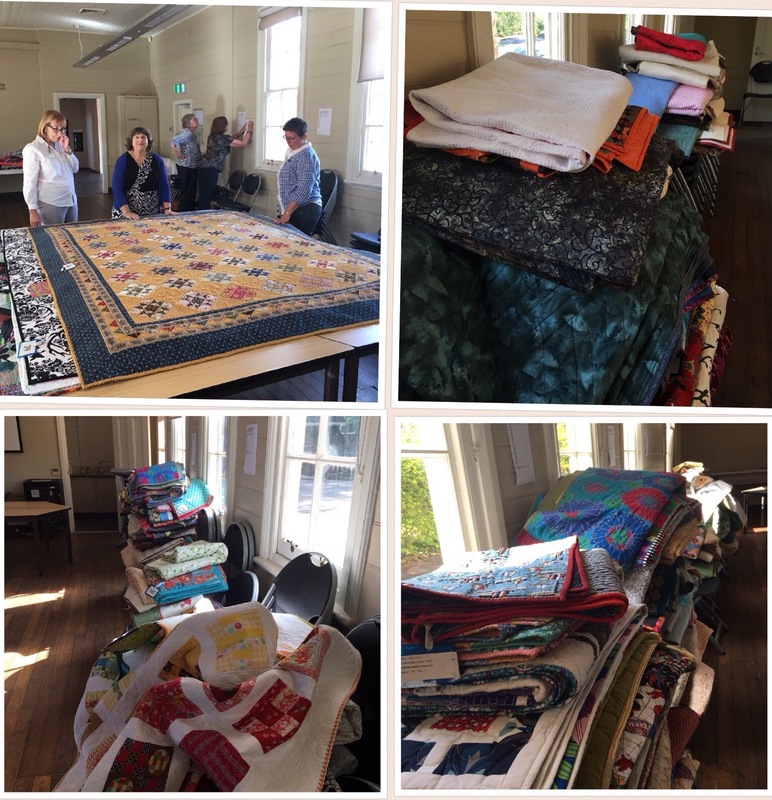 Piles and piles of quilts arrived at Brush Farm House ready for judging. Our judges this year are Amanda Daly, Chris Jurd and Kathy Doughty. Thanks so much ladies for giving of your time so generously today. 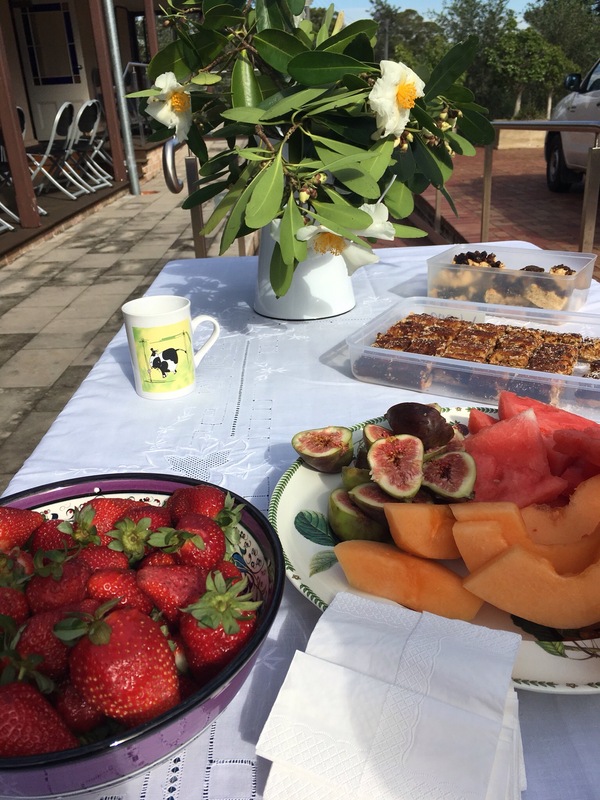 And of course, tasty food featured as at any quilting event …. bodes well for our weekend cafe! 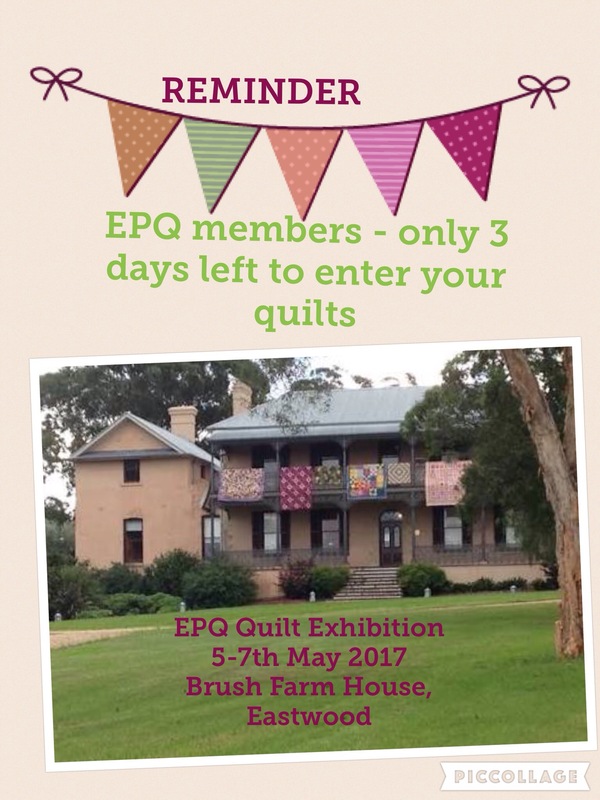 Save the date for our 2017 exhibition to be held from May 5th to 7th at historic Brush Farm House in Eastwood.